Jennie Lööf and Hilary Nicoll from Albert Drive Studios invite you to join with them in their new adventure. The Albert Drive Sewing Club is for everyone with a passion for sewing and delicious food. Every second Sunday of the month starting on Sunday the 12th of August you can join them for an afternoon of sewing and socialising. Bring the project you are working on or are just about to start and spend an afternoon with other likeminded people. 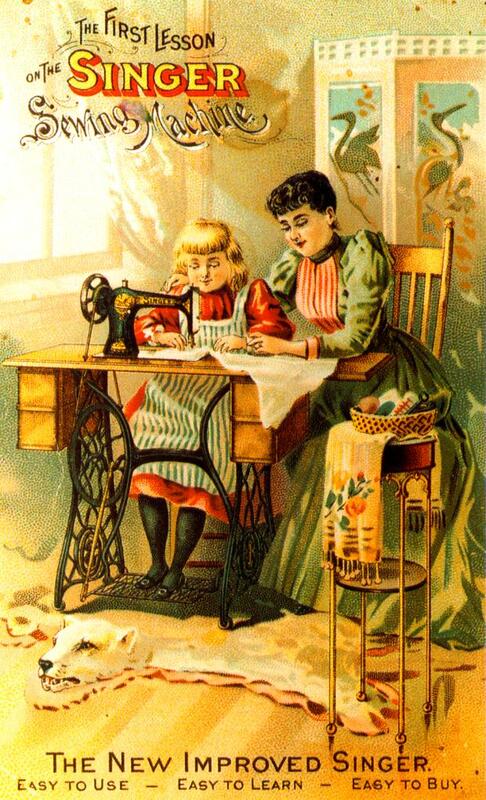 Jennie will be there to advise and help with your sewing projects. Halfway through the day there will be a chance to take a break in the lovely dining room where a delicious homemade afternoon tea will be served by Albert Drives own catering Queen Hilary Nicoll. Sandwiches, scones and amazing home baking served with fresh pots of tea in vintage china. 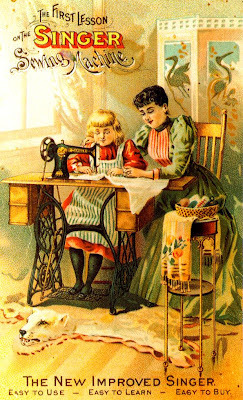 You are advised to bring your own sewing machine but can of course borrow one for the day as well. Some tools, threads and other materials will be provided on the day if required. £35 per Sunday or book 3 Sundays in one go and get them for £30/Sunday. Some materials and all food are included in the price. Jennie Lööf is also hosting several one day beginners sewing classes during August. A 6-hour master class where you start at the beginning and you all will bring home a heap of new knowledge about sewing and designing and also a wee bag. You are highly recommended to bring your own sewing machine and IJennie will show you how to work it. If you don't have one she has some that you can borrow for the day. You are very welcome to bring clothes from your own wardrobe that you want to alter and she will show you how to get started. This is a very small class (Max 4 people) so you'll have lots of time with Jennie. Some material and essentials such as scissors, thread, hand sewing needles, pattern paper etc will be provided as well. Soup and sandwiches will be provided at lunchtime. Learn how to thread your machine and how it works. Learn about closed, open and French seams and when to use them. Make a tote bag. Learn the most common basic alteration and basic creative alterations. Everything you need to feel confident with your sewing machine and you will never pack it away again.